Keystone Automation understood that the most important element of a fully realized brand campaign is a well designed logo. They came to BlackOut Design looking for a logo that would illustrate their experience and expertise in the machinery industry. Keystone Automation, a provider of turnkey design and fabrication of specialized automated machinery, offers creative solutions for complex manufacturing projects in industrial settings across Northeastern Pennsylvania. 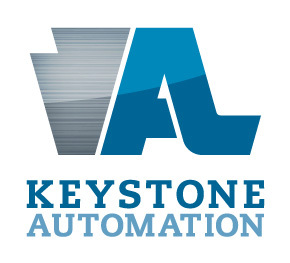 The final BlackOut-designed logo speaks to Keystone Automation’s regional focus and reputation while presenting a refreshed and reinvigorated image for the company’s brand.